The Oklahoma City Thunder traveled to the Moda Center in Portland, Oregon, to face the Portland Trail Blazers in a really exciting match up between the 3rd seed and the 4th seed in the Western Conference. Before the match, the Thunder had a 39-25 record which was identical to the Portland Trail Blazers, who were also at 39-25. The match ended up going to overtime and finally, it was the Thunder who came out on top, winning the thrilling game 129-121. The Portland Trail Blazers are finally clicking this season as a team and will be looking to finish their regular season in strong fashion, just like last season. They have not been able to keep up their strong performances going this season due to a lack of good, consistent role players. In the game against the Oklahoma City Thunder, even though Damian Lillard dropped a massive 51 points, along with 9 assists and 5 rebounds and CJ McCollum had a solid game, chipping in with 25 points and 5 rebounds, the Blazers came out on the losing side, as no other player reached 15 points on the night. Nurkic received his marching orders after he played 34 minutes. Nobody stepped up to the plate, with players like Enes Kanter, Jake Layman, Al-Farouq Aminu, among others, failing to even reach double-digits in points. Rodney Hood played a huge 32 minutes, but failed to capitalize, scoring just 10 points. 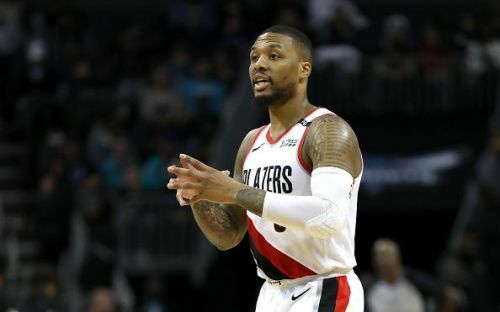 If the role players at the Blazers stay this inconsistent, even though they will make the playoffs, they might not be able to keep hold of their home court advantage and might not make it past the 1st round again.